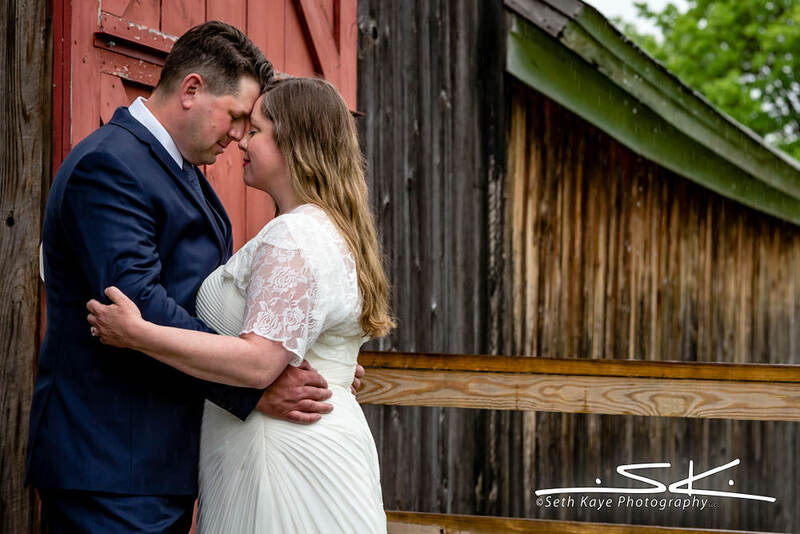 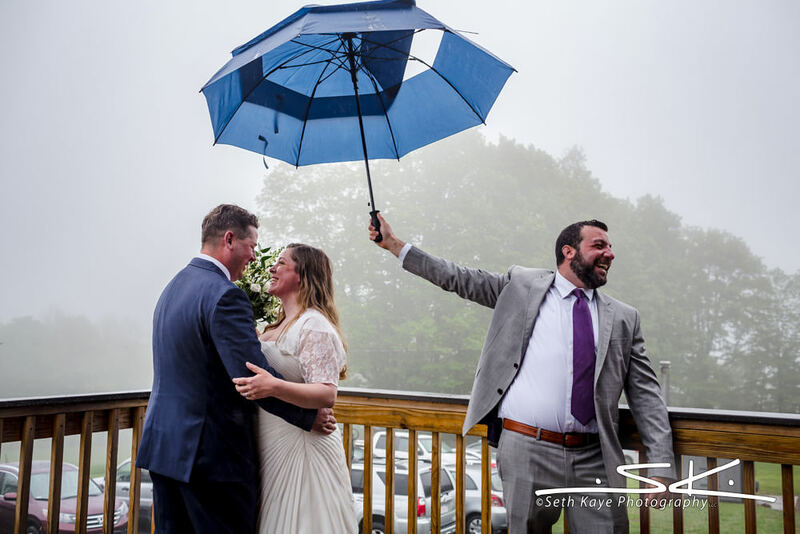 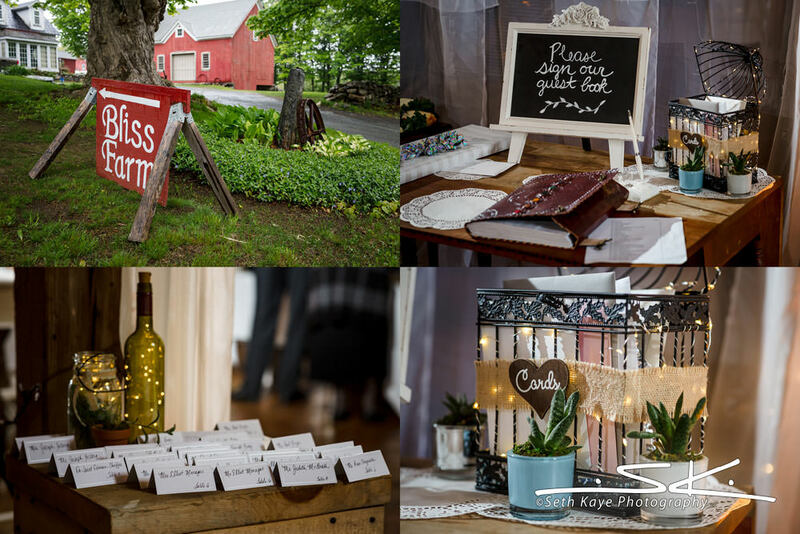 Bronwen + Sean were married at Bliss Farm in Granville, MA on a rainy spring day, but the inclement weather didn’t stop the celebration for even a moment. 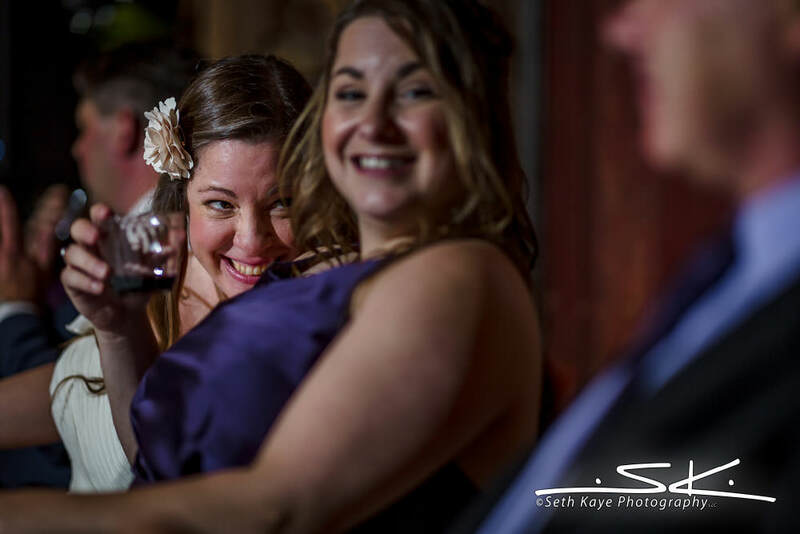 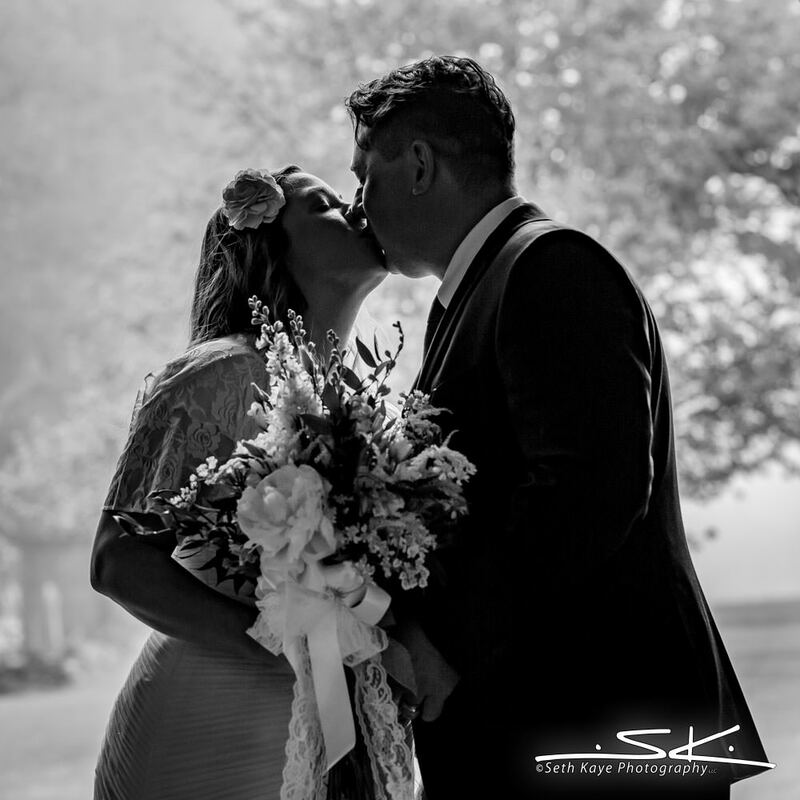 They met when his best friend married her sister, though they didn’t begin dating until some time later. 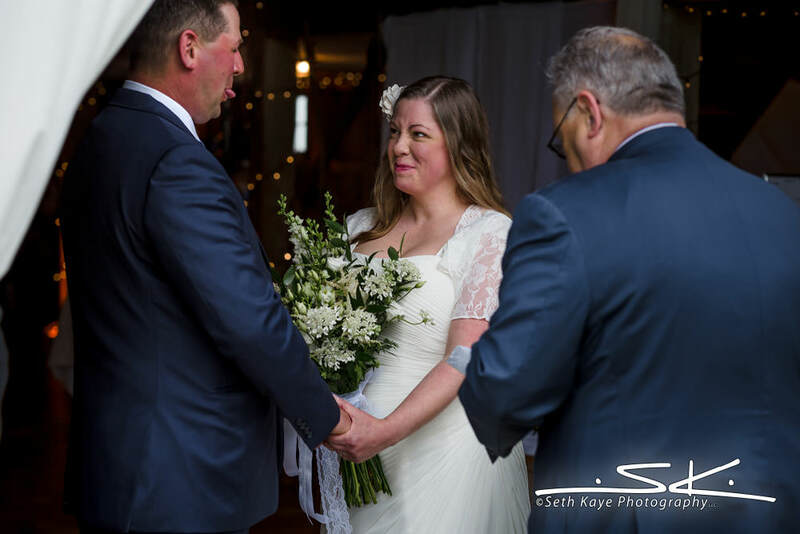 Then after being together for a few years Sean proposed on the Bridge of Flowers in Shelburne Falls. 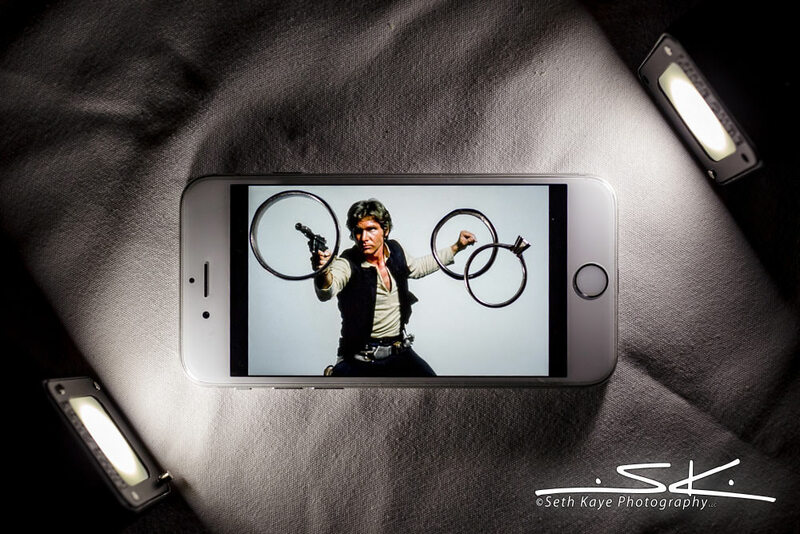 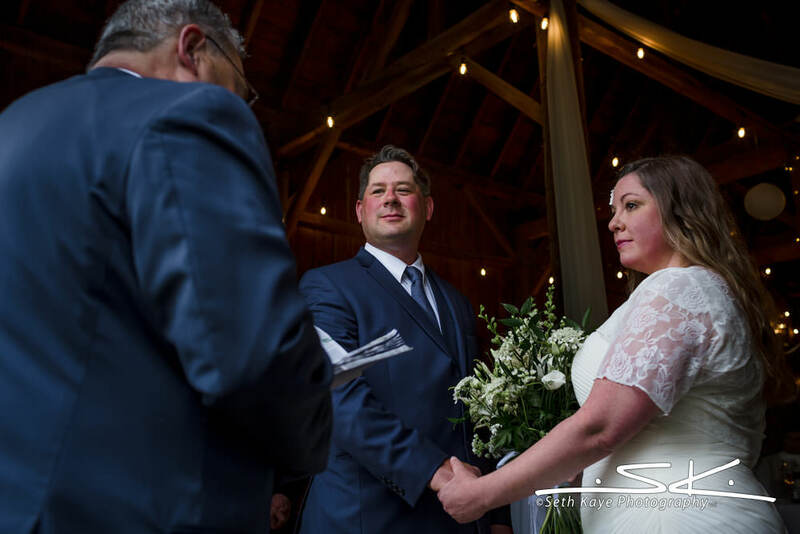 When they first contacted me we bonded immediately, talking more about Star Wars than anything wedding related, and anyone who randomly brings up Jimi Hendrix as a reference in conversation is A-okay in my book. 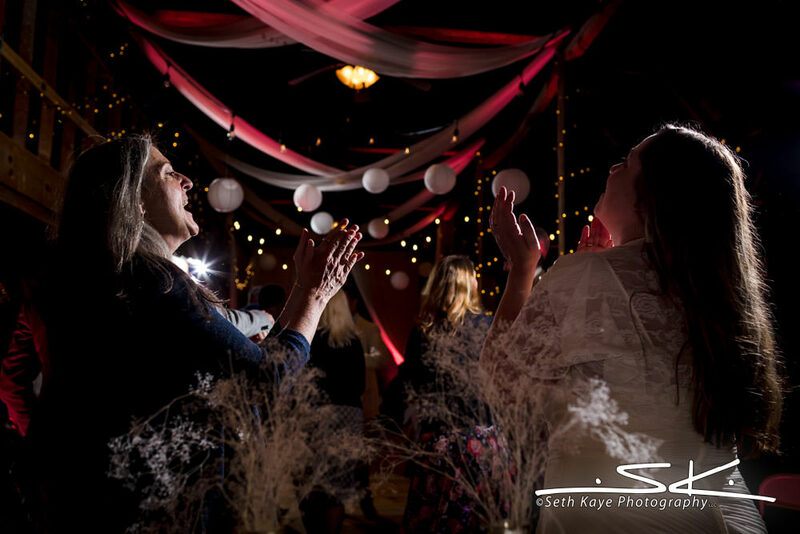 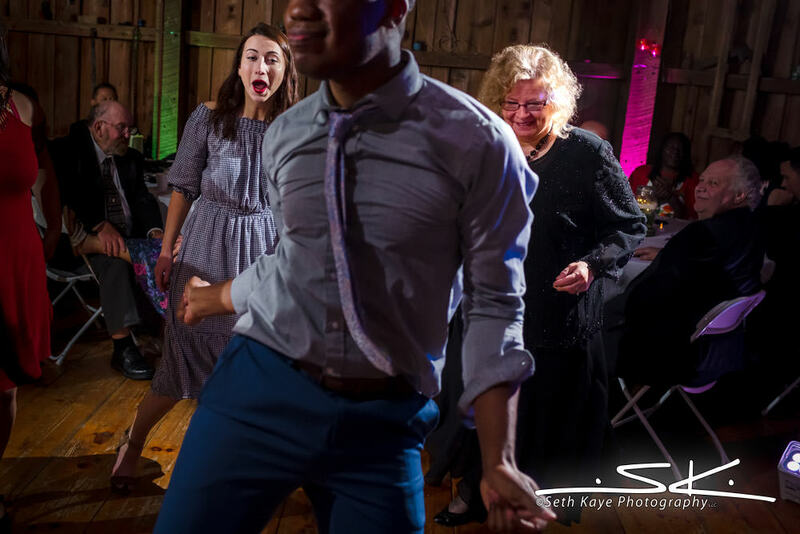 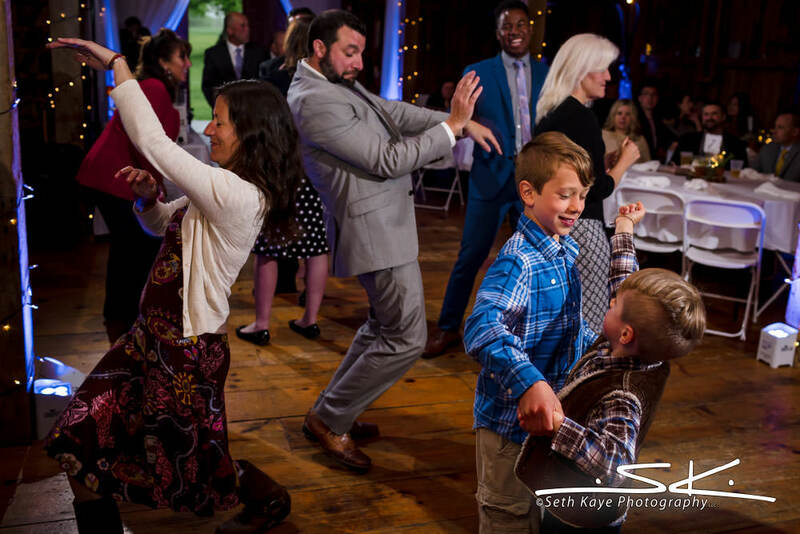 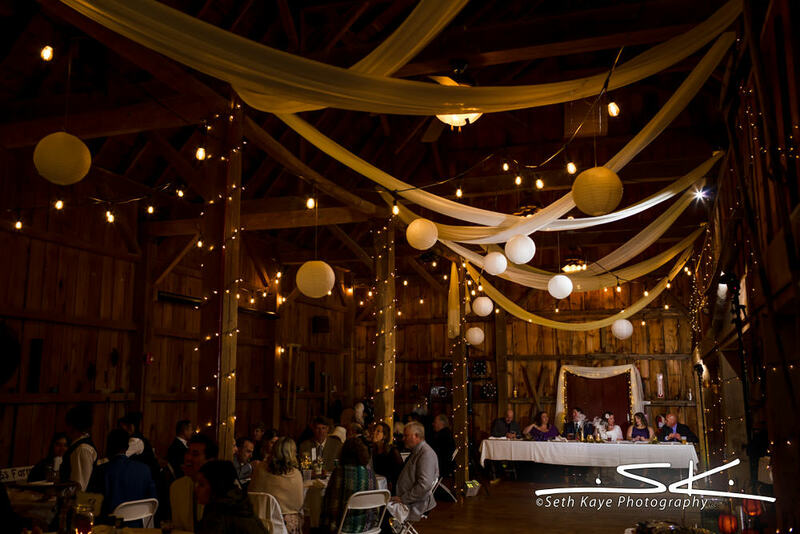 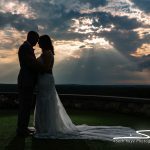 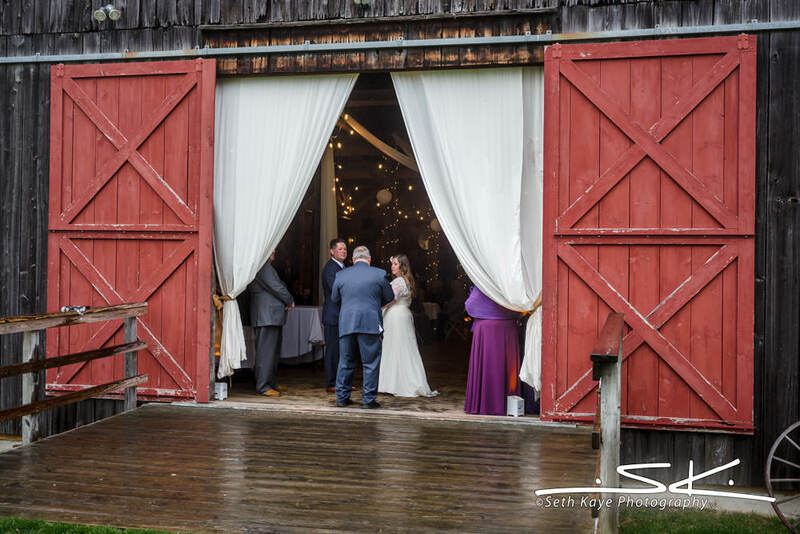 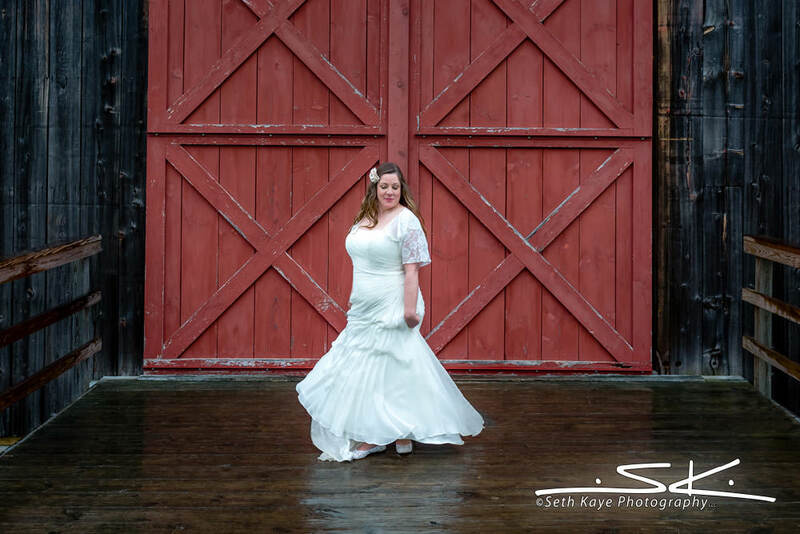 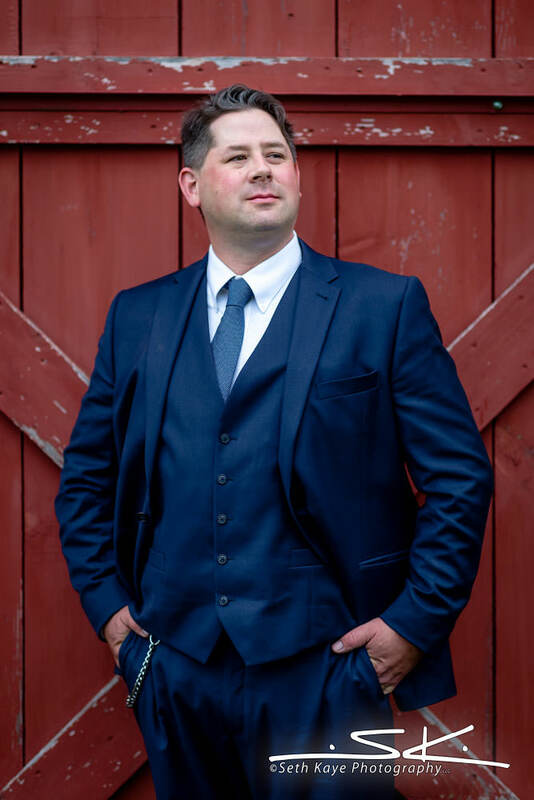 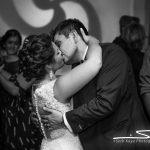 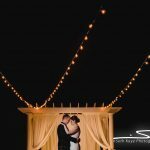 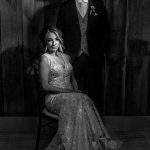 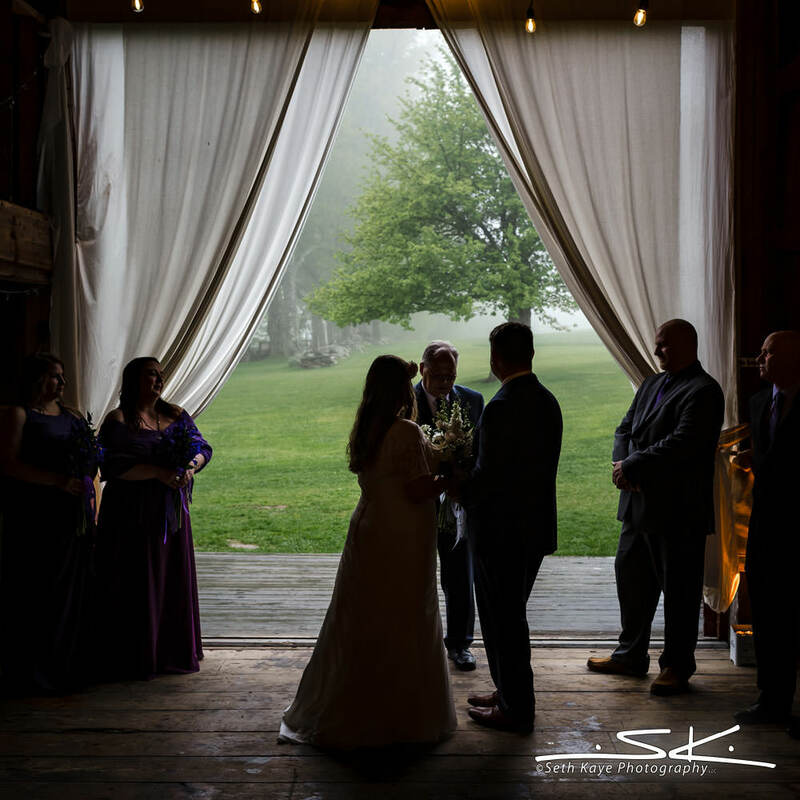 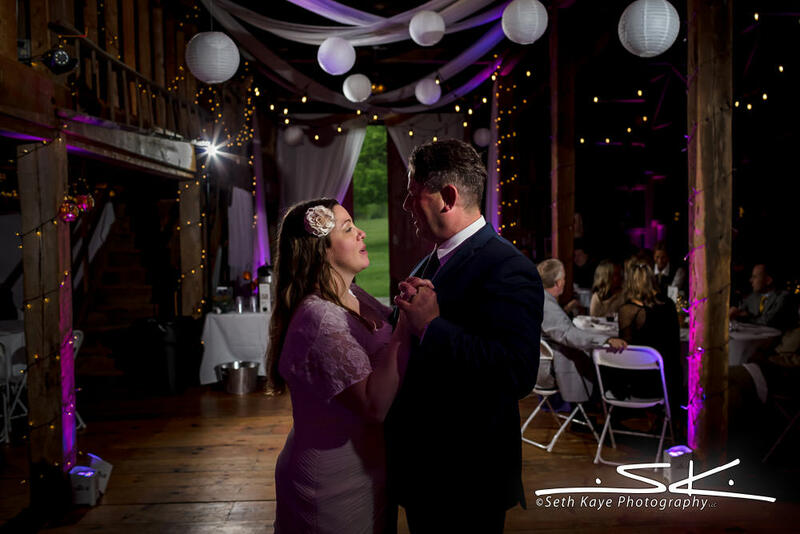 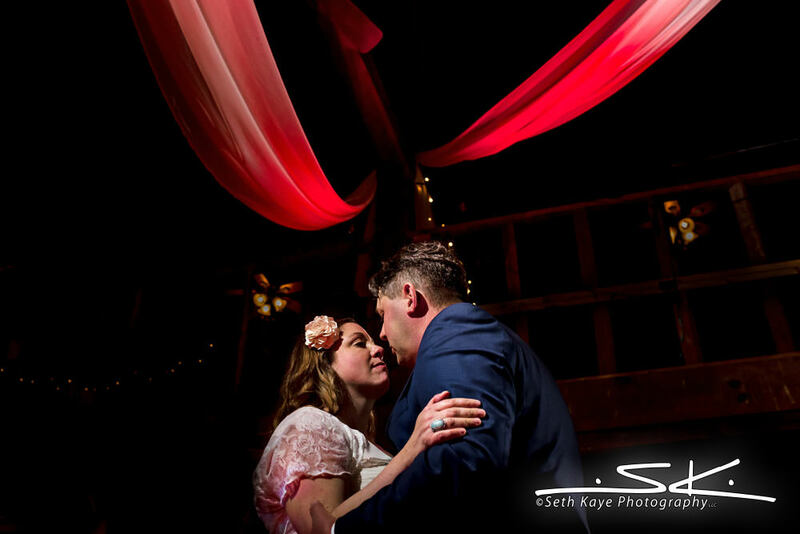 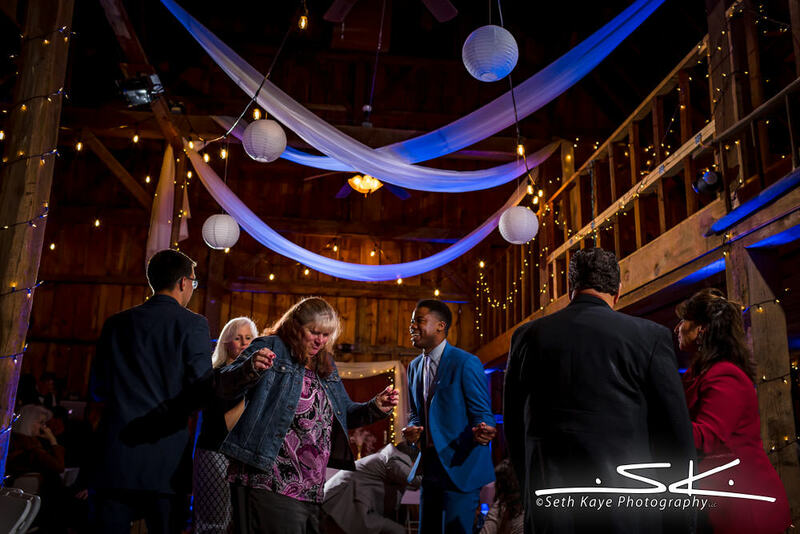 Their ceremony and reception were both held inside Bliss Farm’s main barn, first to stay out of the rain and then continued as planned with dinner and dancing. 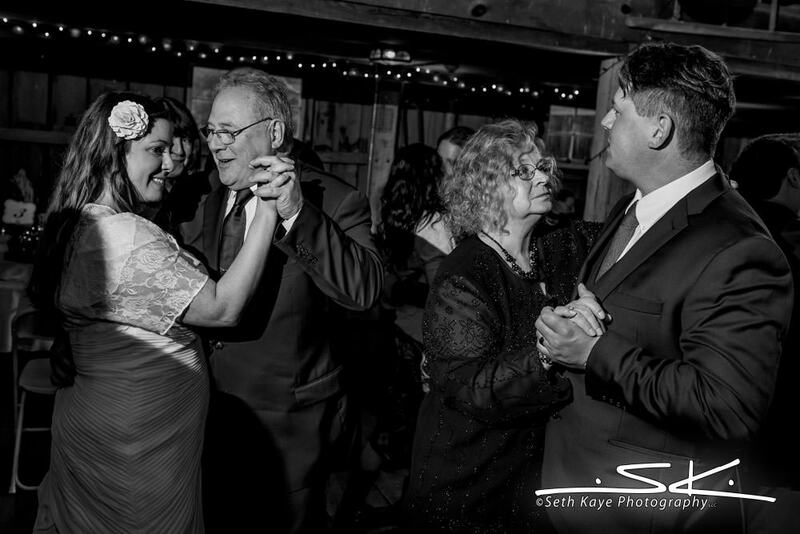 Sean’s father officiated the ceremony which is when Bronwen + Sean saw each other for the first time that day. 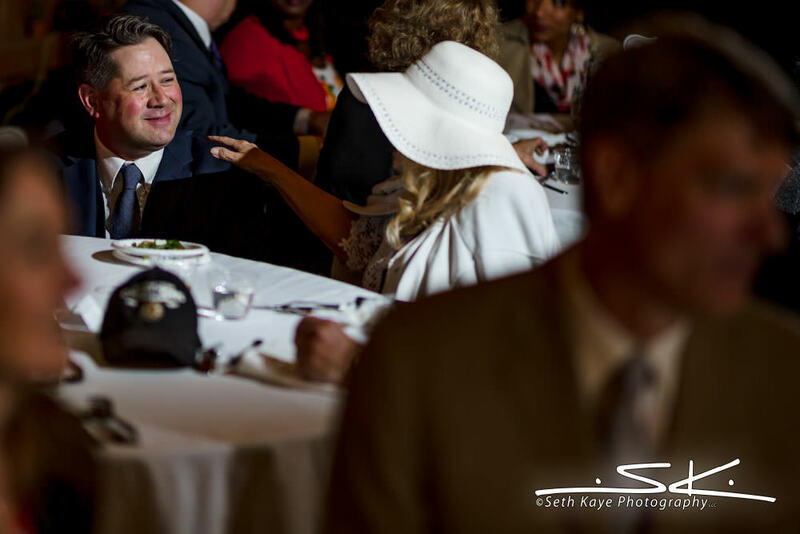 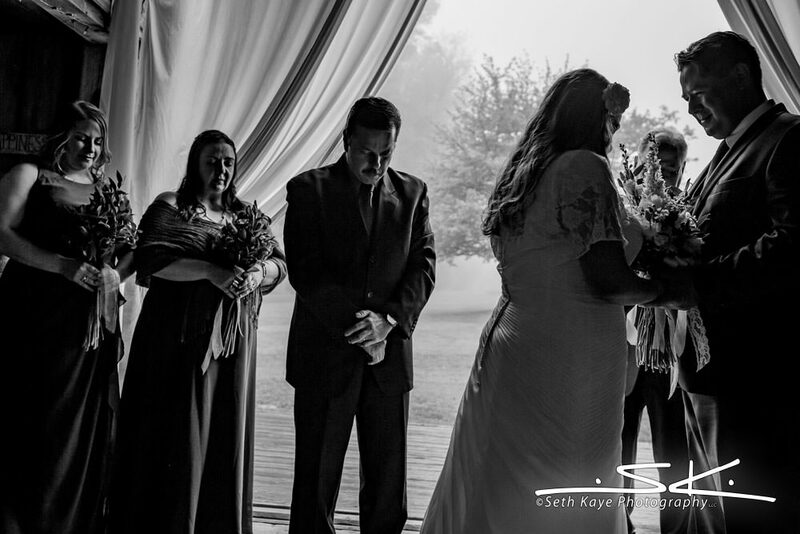 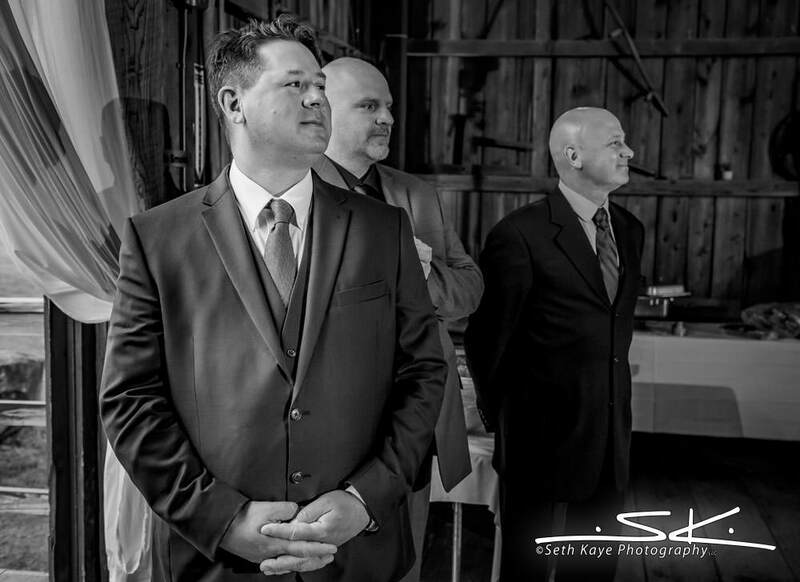 While it was such a meaningful and touching ceremony, everyone was so in the moment that the actual vows were forgotten! 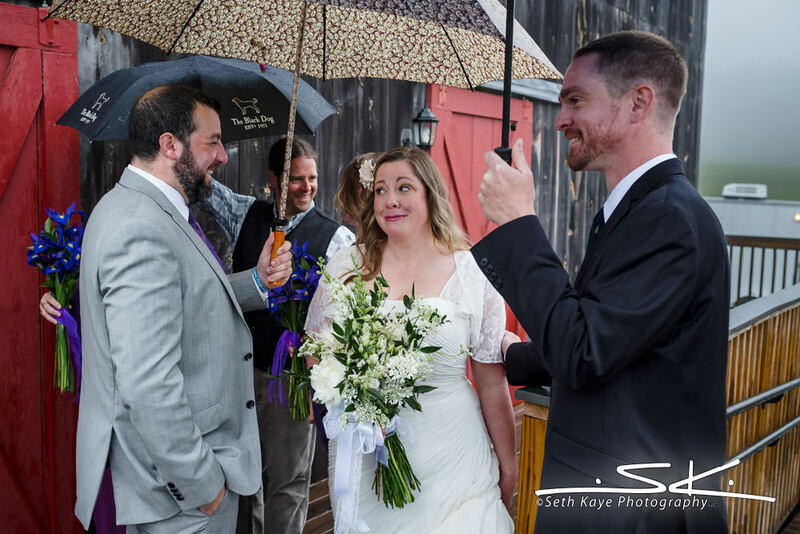 They realized it as soon as the ceremony was over so we walked through the rain to the house where Bronwen got ready and Sean’s dad, along with a witness, had them officially recite their vows with just the five of us in the room. 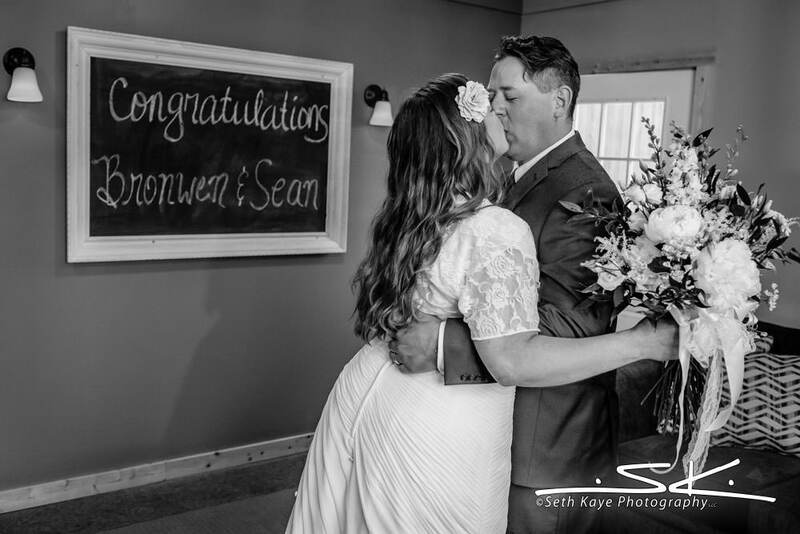 Everyone had a good laugh over it and there was even a congratulatory sign written on a chalkboard for them. 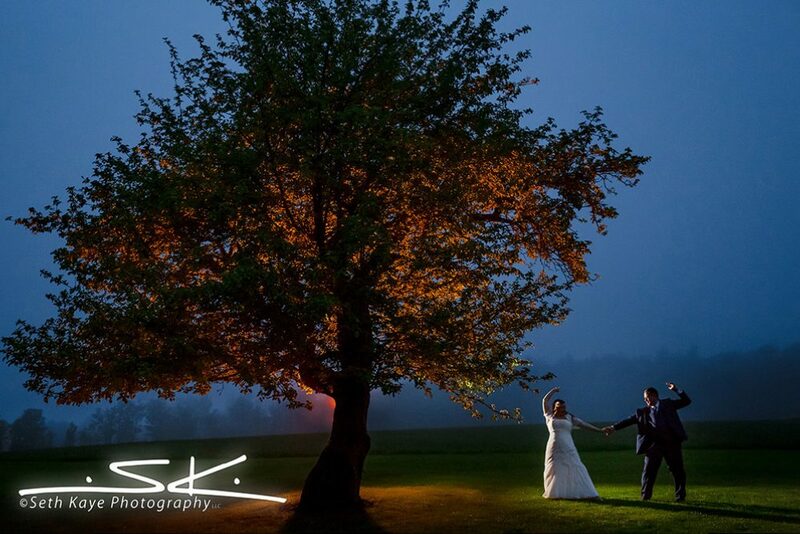 Once dinner was done and the dancing had begun, and the rain had mostly subsided, we went outside by one of the venue’s large trees for some nighttime portraits.